"Chanoud Garh, one of the best heritage hotels in Pali, is a splendid 300-year-old property, which offers memorable stay. Spread in an expansive area of 200,000 square foot, the property is still managed and run by the royal family (descendants of Thakur Anoop Singh ji). 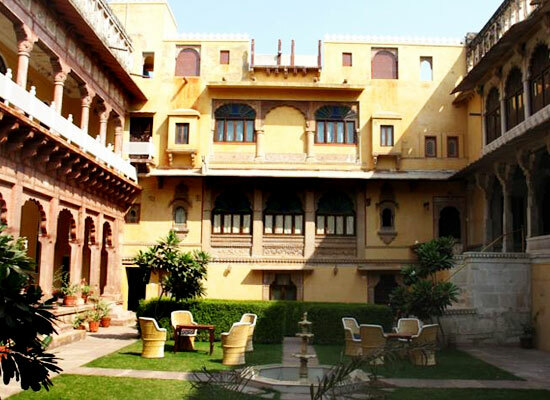 Boasting of an age-old charm, the hotel has equally stunning interiors and exteriors. The meandering doorways, the marble pillared corridors, delicate stone Jharokhas, huge courtyards and the lavish lawns, all look stunning. 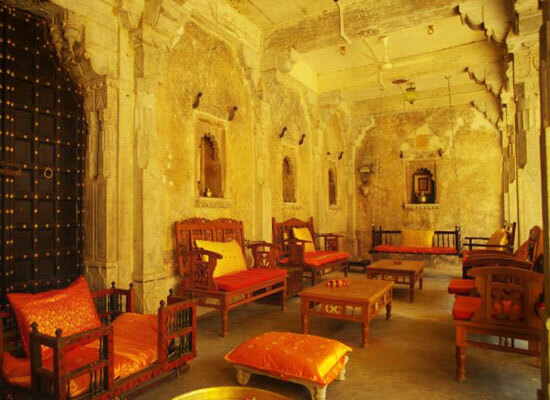 Commissioned by Thakur Anoop Singh Ji, Chanoud Garh is a 300 year old palace that has been converted into a heritage hotel. The property has been in the hands of the same family for 13 generations, and thus exudes royal charm. 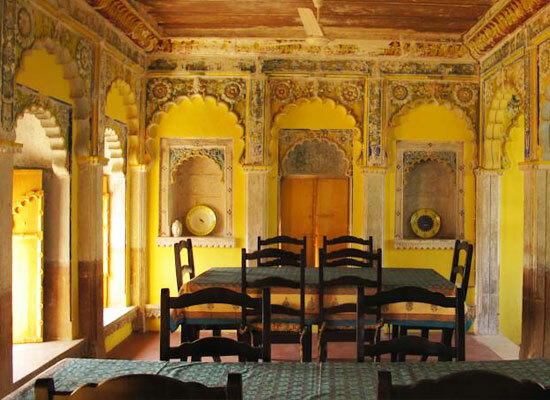 One of the most popular heritage hotels of Rajasthan, Chanoud Garh has seven spacious rooms, done-up in a wonderful manner. Like the olden days, the host makes sure that you enjoy flawless hospitality and a treatment, befitting the likings of a king. 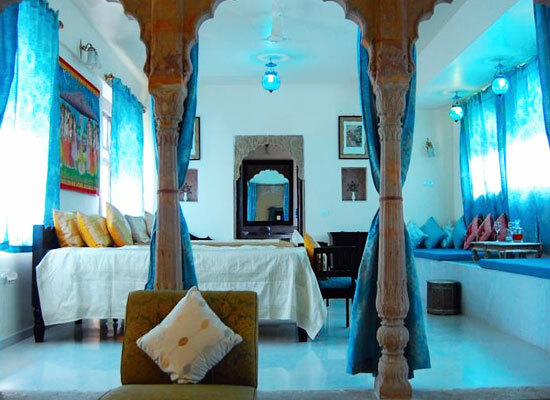 The spacious deluxe suites have a wonderful décor inspired from the vibrant culture of the state. The rooms are a mix of authentic interiors clubbed with contemporary comforts. Some of the modern facilities include attached bathroom with premium toiletries, choice of twin and king-size bed, sofa with a center table, air-conditioner and more. The hotel has three dining venues- Moti Mahal, Khelikhana and the Janana Mahal Chown, each offering a memorable dining experience. The trained chefs prepare lip-smacking delicacies of various cuisines. Some recipes are straight from the kitchen of the royalty. The beverages are also offered in huge variety. 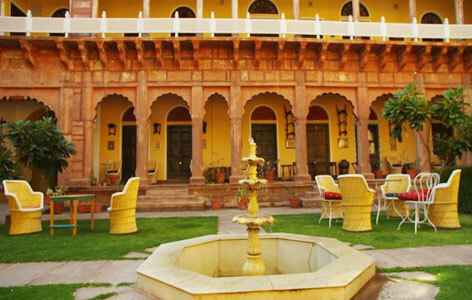 Also known as the ‘industrial city’, Pali is a hidden tourist gem of the royal state of Rajasthan. 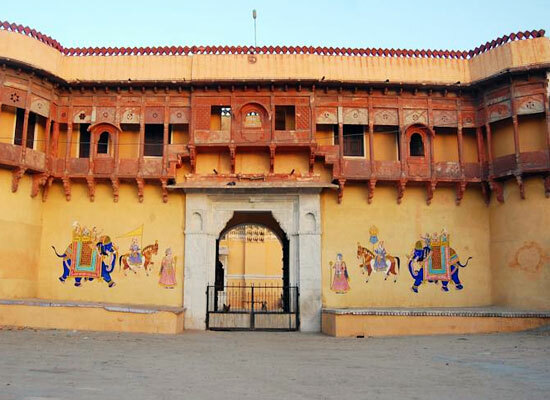 It is generally a stopover for the tourists from Ajmer, Pushkar and Jodhpur. However, the place is magical, hold a peaceful ambiance and is ideal for peace-seekers. Jawai Dam, Om Banna, Adinath temple, Parshuram Mahadev Temple, Bangur Museun, Nimbu ka Nath, Parshuram Mahadev Temple, and Hatundi Rata Mahabir Temple, are some of the main attractions of Pali.